We have learned not to judge a book by its cover. Now we will learn not to judge a book by it style. When I began reading this book it was difficult to “get into”. The word choices and usage were odd. No, they were just different. I was ready to write it off as something that could not be used in a typical fourth grade classroom until I realized the brain pathway building potential of this little gem. While the above average reader may find this book intriguing, even an average student might struggle with comprehension without some scaffolding. But with any reader, new ideas and thought patterns will be created. The storyline is actually quite interesting. Walter has recently moved from London to the United States where he now attends a boarding school for “the once well-heeled (wealthy) who’d fallen on harder times, or for those who had recently accumulated their wealth and were snubbed by the well-heeled. 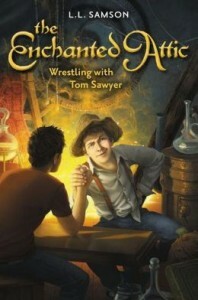 Walter and his friends have an amazing adventure with Tom Sawyer after Walter and his friends conjure up Tom in the enchanted circle in the “not so secret attic”. It was an amazing adventure sprinkled with a mad scientist, a hidden tunnel and plenty of mystery and drama. This book might possibly make an interesting choice for a literature circle choice. Even if the typical structure has to be modified to account for the more difficult comprehension issues, this book lends itself to discussion and out of the box thinking. Which pet is right for you? Choosing a pet can be tricky, especially when there are so many choices. 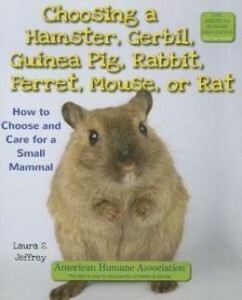 With help from the American Humane Association, this book guides young readers through what small mammals are like and what they can expect from them as pets. It’s a straightforward overview, easy for elementary comprehension. Did you know that rabbits are third in popularity behind dogs and cats? Within the last 75 years, small mammals have become a common pet choice in the U.S. because they are low maintenance and can thrive in any sized home. 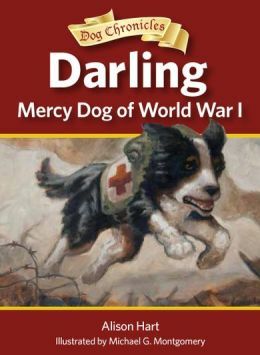 The author methodically reviews the characteristics of each animal listed in the title. Mice and rats are very smart; rabbits are playful; gerbils are gentle, but don’t like living alone; hamsters are odorless, but could nip if upset; guinea pigs can be noisy; and ferrets need a lot of attention. The most in-depth section, Taking Care of Your New Pet, offers tips for housing and diet and touches upon small mammal health, veterinary care, and the proper way to hold and handle the animals. Designed for third and fourth grade readers, basic information gets jazzed up with colorful fonts, text boxes, and fun facts. But the part young readers will like best is the photographs – plenty of awww factor here, as little furry creatures with their twitchy noses, alert ears, and tiny paws appear on every page. As part of a pet care series, parents and children may want to visit the publisher’s website to browse other titles: www.enslow.com. They can also learn more about the American Humane Association by visiting www.americanhumane.org. PUBLISHER: Enslow Elementary / Enslow Publishers, Inc.